The next successful Business Voices® Fill My Ride event took place on August 4th. 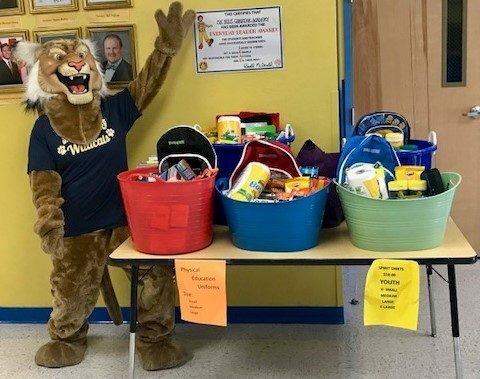 Members from BNI BizNet of the South West Florida region gathered supplies for students at Six Mile Charter Academy in Fort Myers. 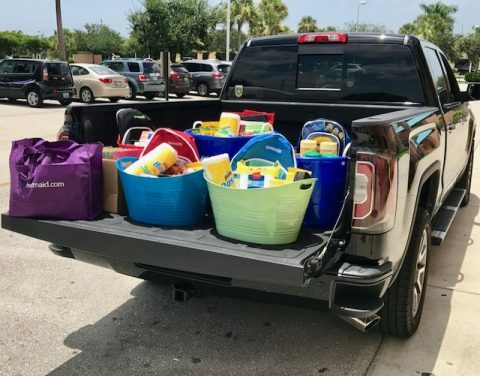 Enough school supplies for more than 50 children were delivered to the school in the back of a large pick-up truck. Upon arrival, BIzNet members were enthusiastically met by faculty members as well as the school’s wildcat mascot. “There were enough supplies donated to help out 50+ students whose families were not able to fulfill the extensive supply list for the new school year,” said BNI BizNet member Matthew Colla. The school’s Dean of Students was able to disburse the supplies to the specific families most in need of them. Congratulations to all who participated in this much needed program, and thank you for sharing your story with everyone.